Shoot! would like to wish Sylvio Mendes Campos Junior many happy returns as the former Brazil international defender celebrates his 43rd birthday today! Oh sorry! He is much better known as, ‘Sylvinho’. The ex-Arsenal and Manchester City left-back won just the 1999 FA Community Shield with Arsenal during his two separate spells in English football, but proved a popular player at Highbury. Sylvinho started his career in his homeland with Corinthians, winning five trophies between 1994 and 1999, before becoming the first-ever Brazilian to sign for Premier League outfit Arsenal for a reported £4m. One of the main reasons the full-back became a fans favourite in North London, almost instantaneously, for the red half anyway, was because he turned down numerous offers to join The Gunners’ arch rivals, Tottenham Hotspur. In his debut campaign, Sylvinho impressively displaced the legendary Nigel Winterburn, helping Arsene Wenger’s side finish second in the top-flight, still 18 points adrift of champions Manchester United however. However, the Brazilian’s most forgettable moment came in November after missing his decisive spot kick that led to Arsenal’s League Cup fourth round exit to Middlesbrough (3-1). It got worse, however, for Wenger & Co by May, as The Gunners lost 4-1 on penalties in the 2000 UEFA Cup Final to Galatasaray – although Sylvinho didn’t take a spot kick, this time! I wonder why..? The emergence of a certain Ashley Cole restricted the Brazilian’s ever-present role in the first-team the following term, though he still managed to be included in the 2000-01 Premier League PFA Team of the Year. During the summer, the left-back opted for a move to Celta Vigo, where he spent three years at the La Liga outfit, helping them qualify for the UEFA Champions League for the first time in their history (2002-03). Following his impressive stint at the Estadio Municipal de Balaidos, Spanish heavyweights FC Barcelona snapped up the Brazilian, where he would go onto win three league titles, two Champions League crowns and the Copa del Rey. His final appearance for the Catalans came in Rome, when Pep Guardiola’s side defeated Manchester United 2-0 in the 2009 Champions League final. What a farewell! He waved goodbye to the Nou Camp after facing the other Manchester outfit, City, just a few months later during pre-season, opting to join fellow Brazilian Robinho at the Etihad Stadium on a free transfer, putting pen to paper on a one-year contract. 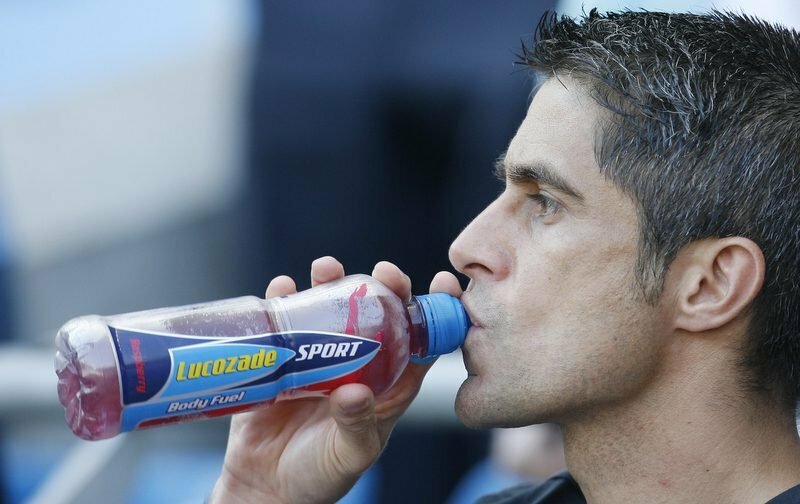 Sylvinho made just 15 appearances in all competitions for The Citizens, scoring one goal against Scunthorpe United in the FA Cup. But come June 2010, the club announced that the full-back would be leaving the club upon the expiry of his contract, before announcing his retirement from ‘the beautiful game’ just 13 months later after failing to find another club. What happened next for Sylvinho? Well, it didn’t take long for the former Arsenal and Man City man to worm his way into professional coaching, being appointed Cruzeiro’s assistant manager back in his homeland just over two months after hanging up his boots. Similar jobs followed at Sport Recife (2012), Nautico (2013) and Corinthians (2013-14) after considerably growing his reputation in management, before ex-City boss Roberto Mancini brought Sylvinho to the San Siro to become his assistant at Serie A giants Inter Milan in December 2014. But after almost two trophyless years with Inter, Mancini left in August 2016 by mutual consent, with Sylvinho set to follow the Italian through the exit door. Thankfully for him, Tite came calling later that year, offering him the chance to become an assistant for the Brazilian national team, for whom he still works for. Keep an eye out for the former defender trying to help his country lift the 2018 FIFA World Cup in Russia next summer!